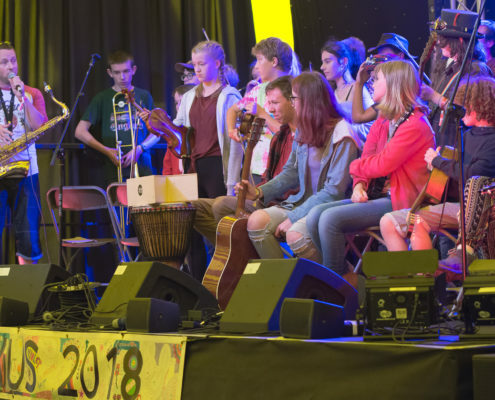 Refolkus: Shrewsbury Folk Festival’s own unique Youth Festival. 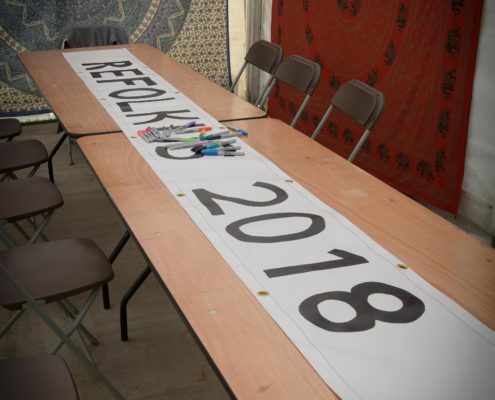 Find us at the Reef! 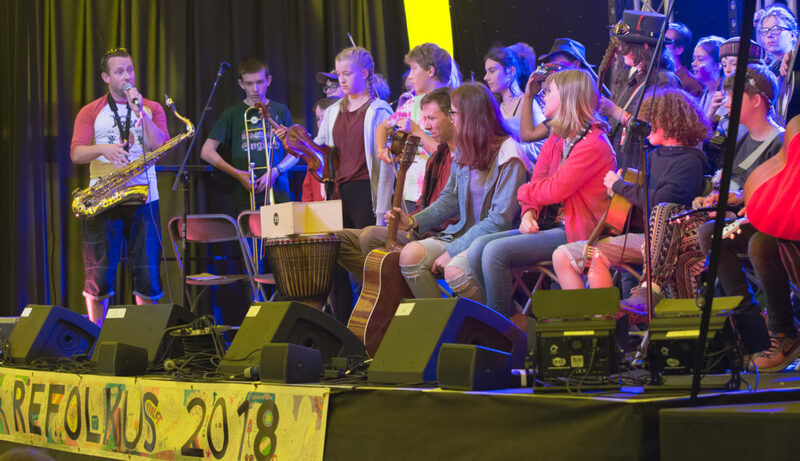 2018 saw the Reef busier than ever before: more noise, more fun, more amazingly talented people! 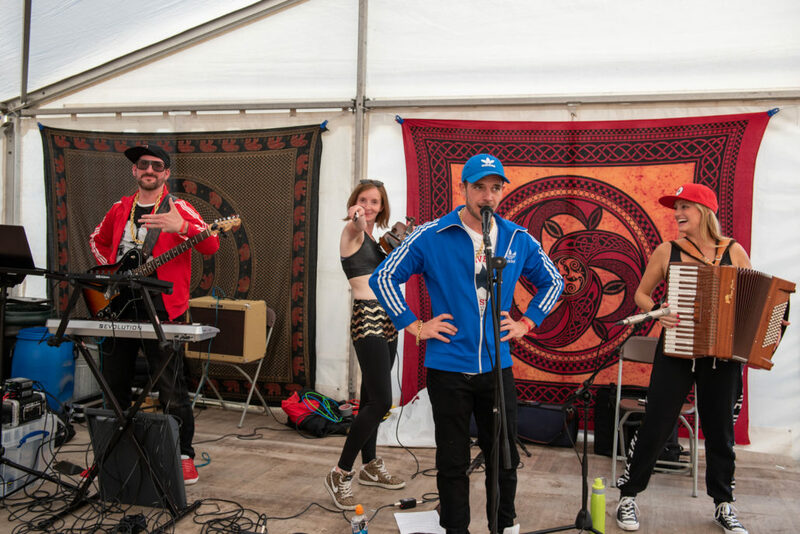 From carnival clowns making wacky masks to building human pyramids, high-speed hip hop ceilidh antics and masterclasses from the pros… 2018 was most definitely a year to be remembered. 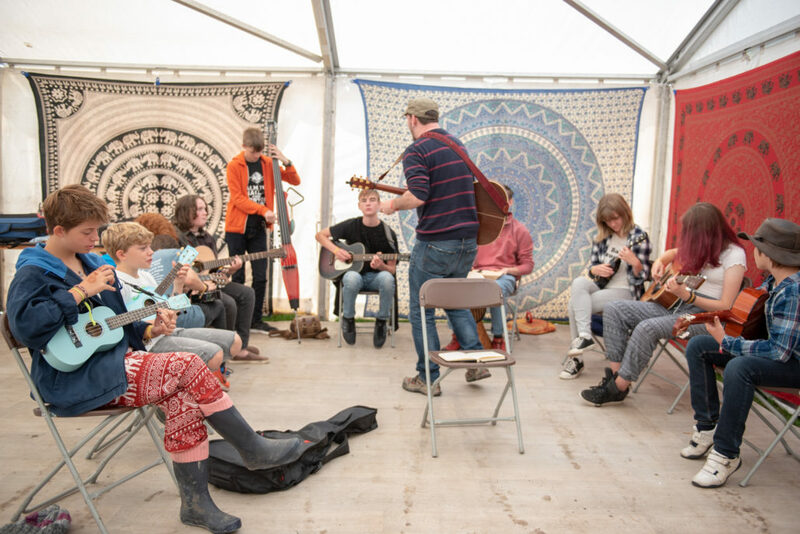 Why not take a look at some of the photos below (see if you can spot yourself!) 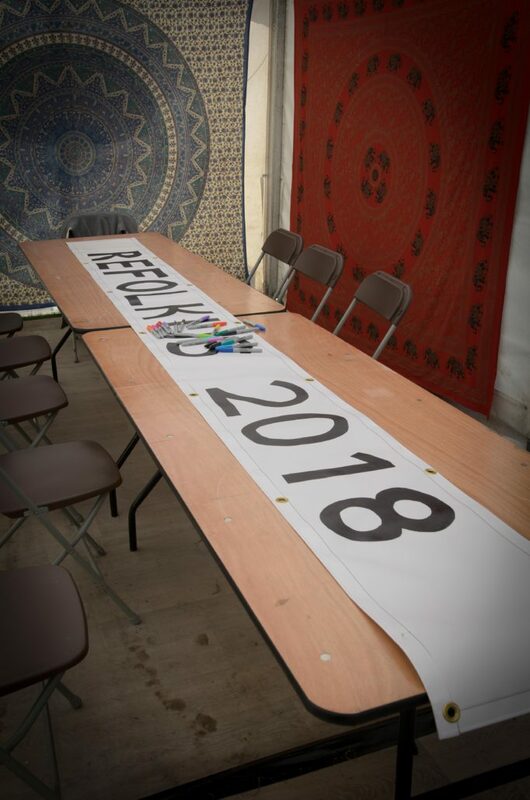 and head over the SFF Facebook page to share your Refolkus 2018 top moment, and why it rocked your socks. 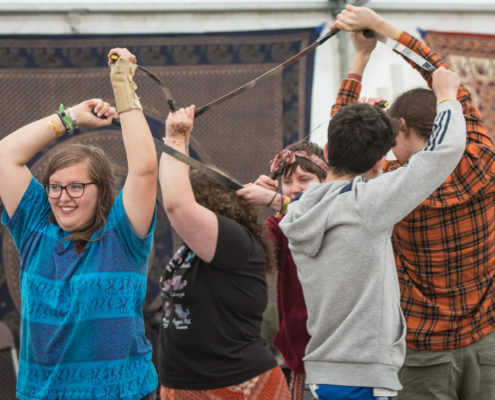 We’d love to hear your highlights! 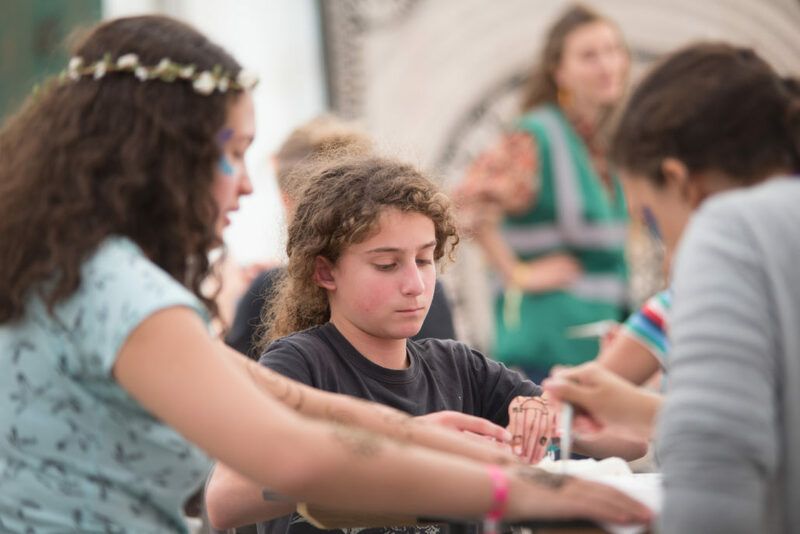 Whilst you’re there, let us know what would really float your boat in 2019? 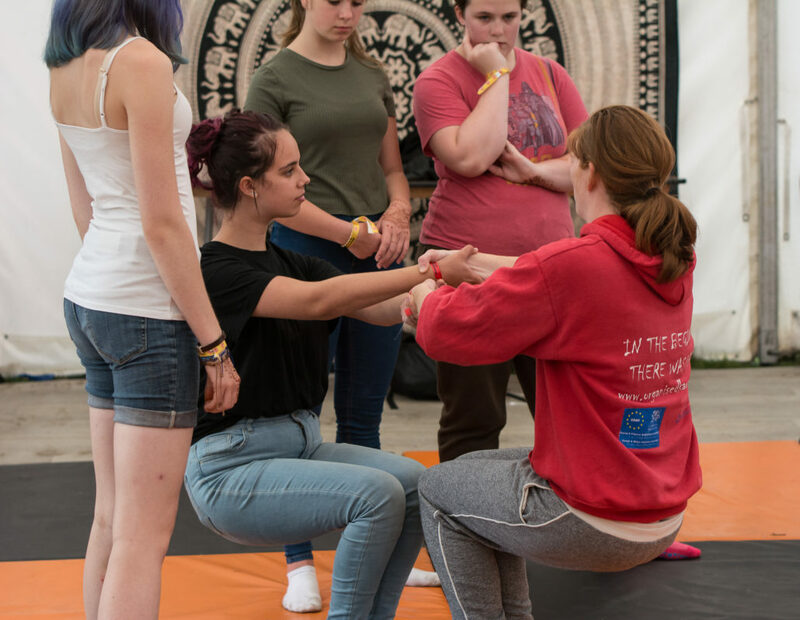 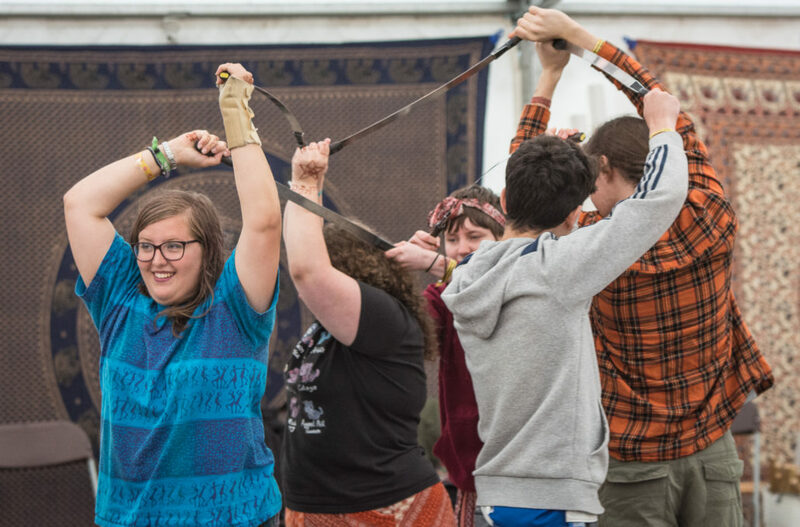 Maybe you’ve always wanted to give Mongolian nose flute a go or learn how to breathe fire (Editor’s note: only joking festival directors!). 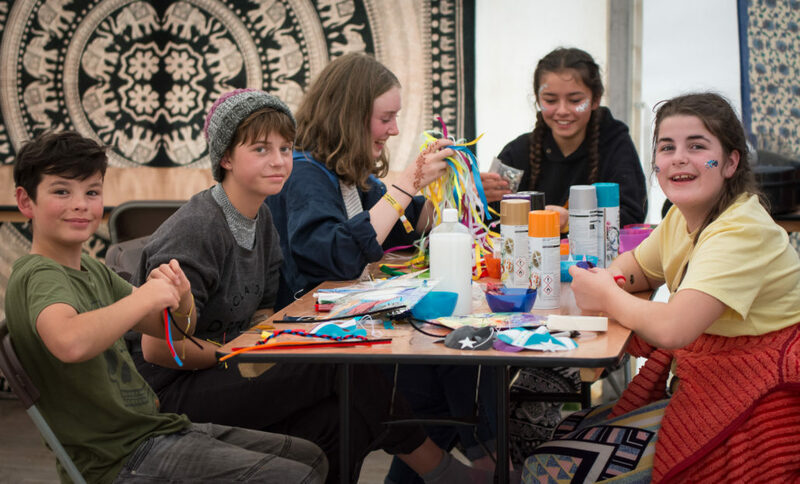 Who knows, your fantastic idea could be on the bill next year. 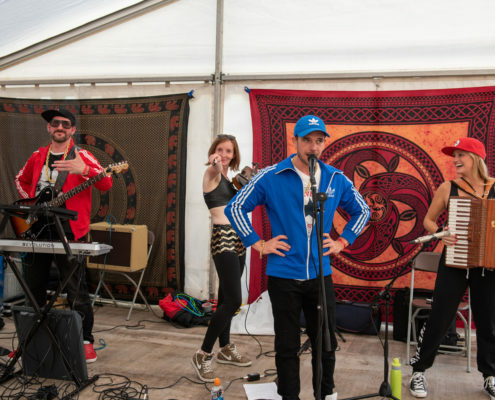 Some serious scheming is already well underway for an epic party in 2019. 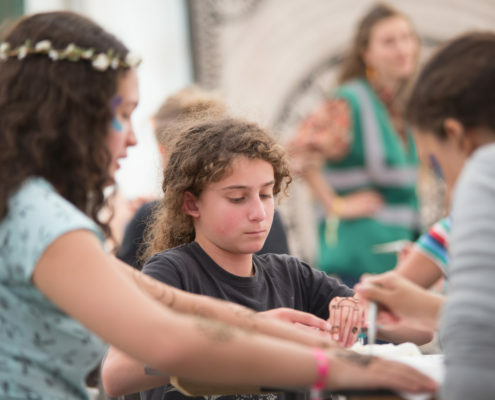 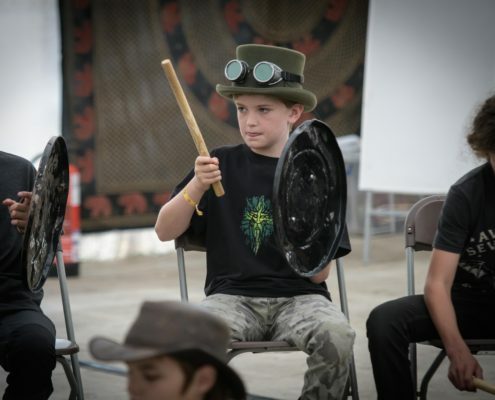 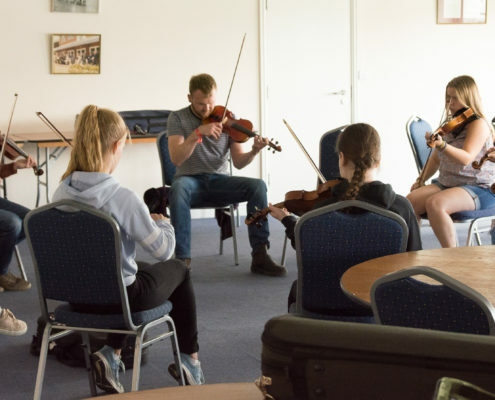 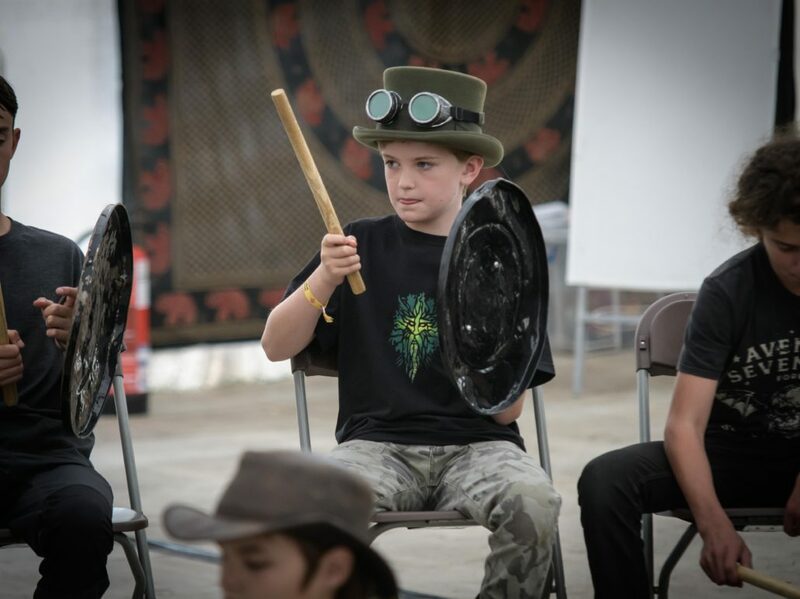 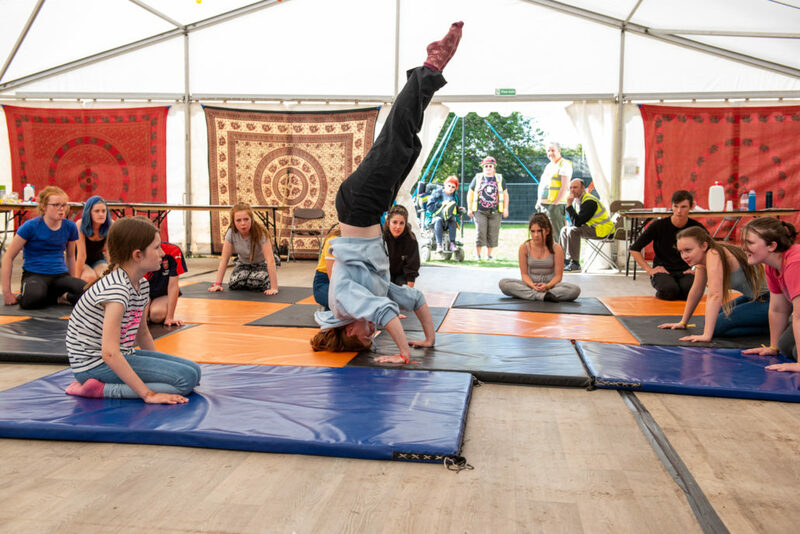 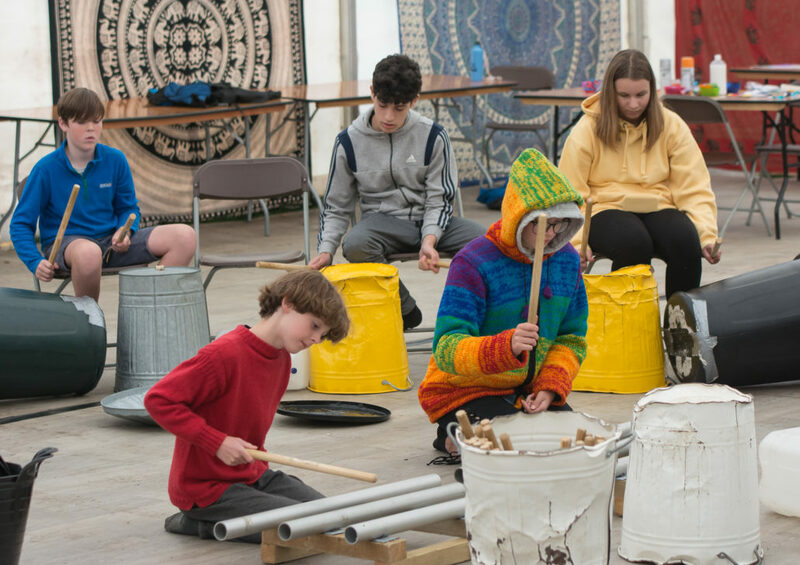 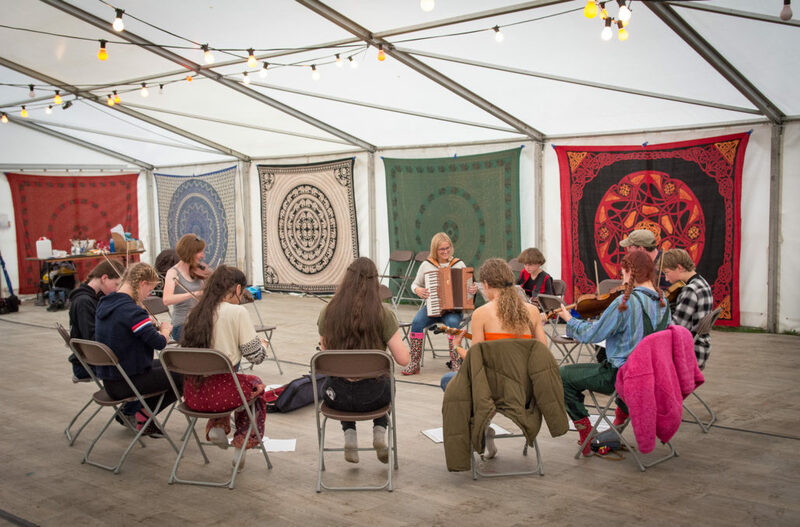 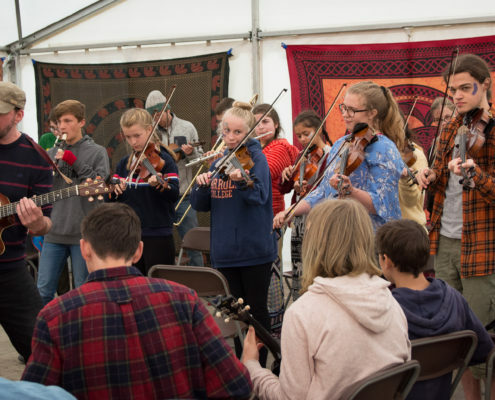 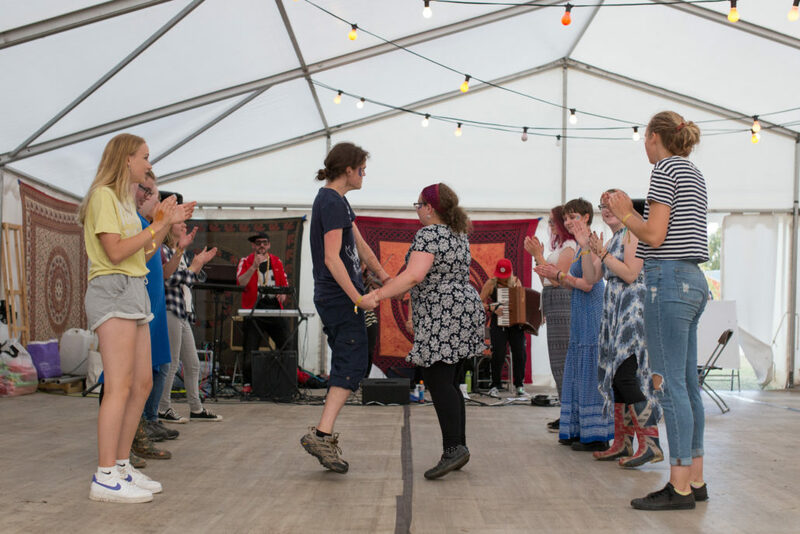 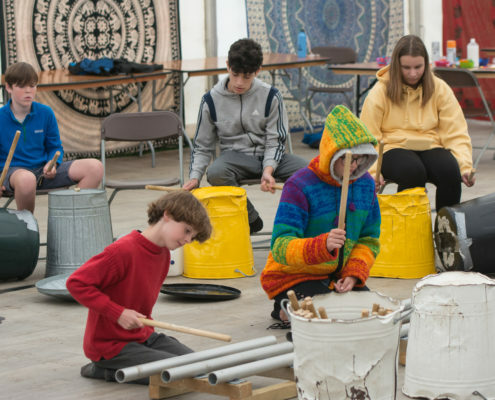 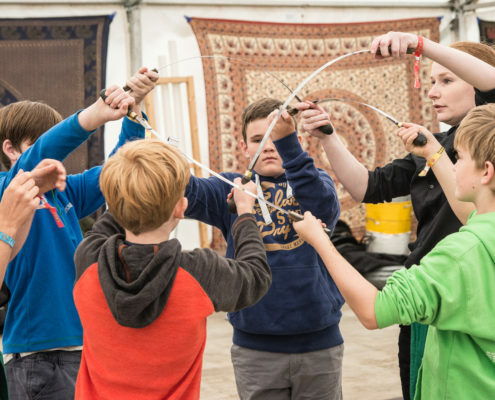 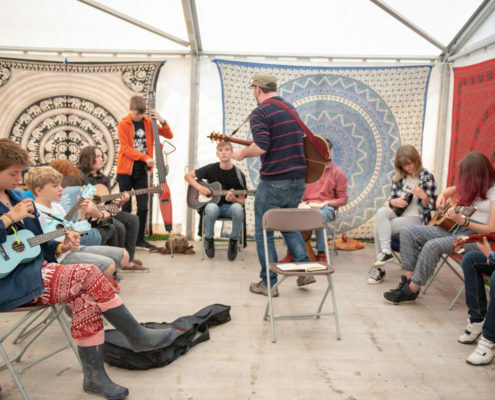 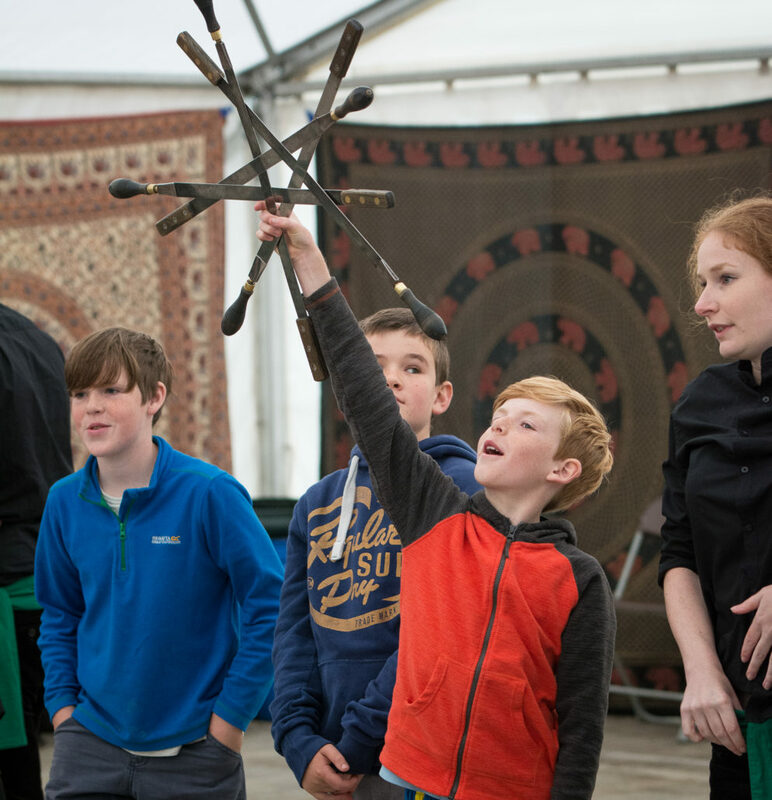 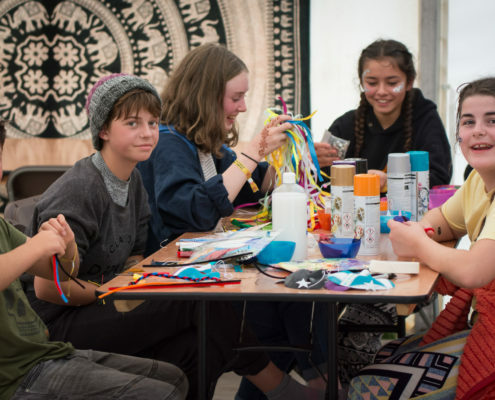 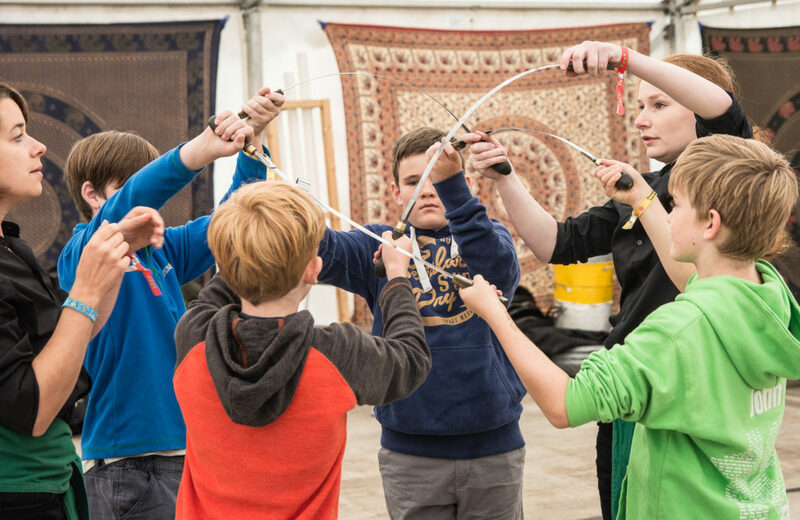 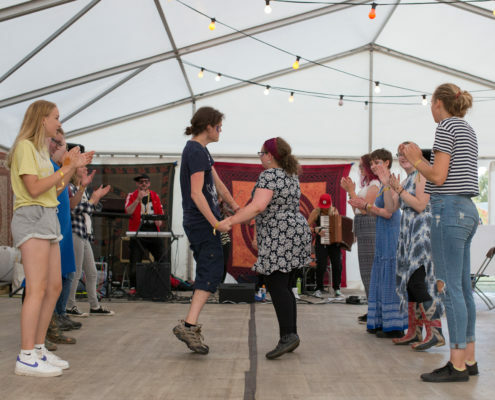 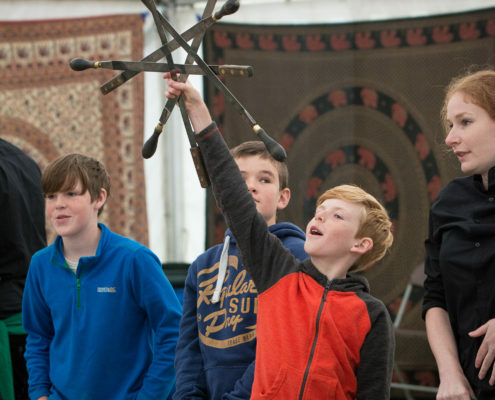 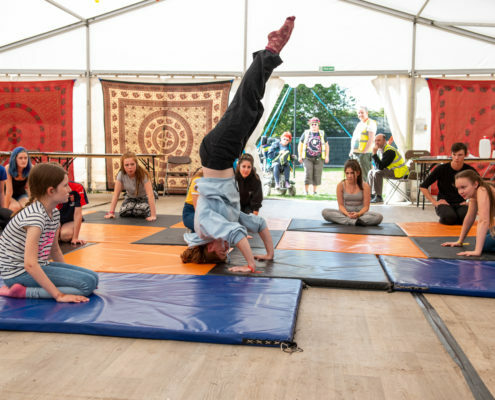 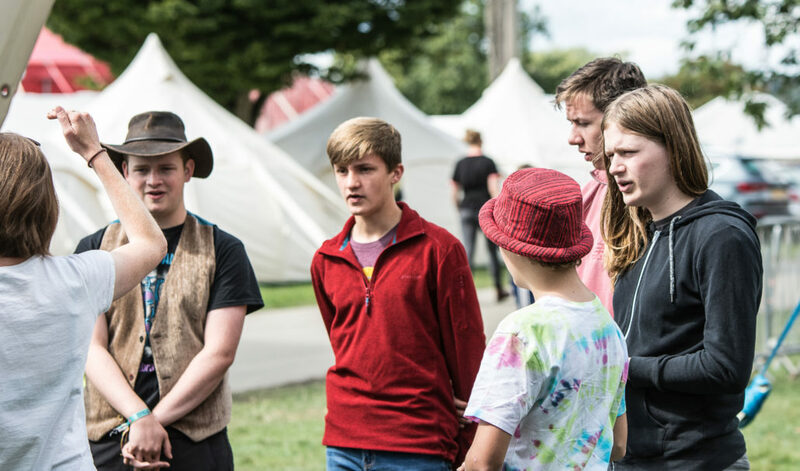 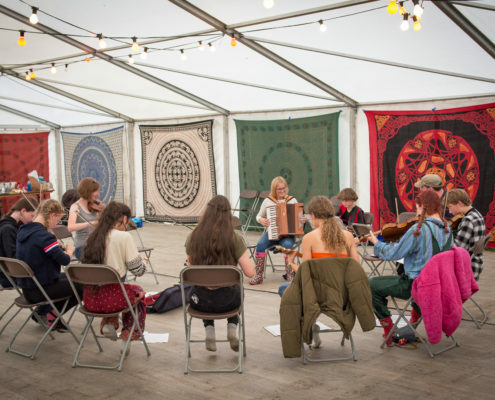 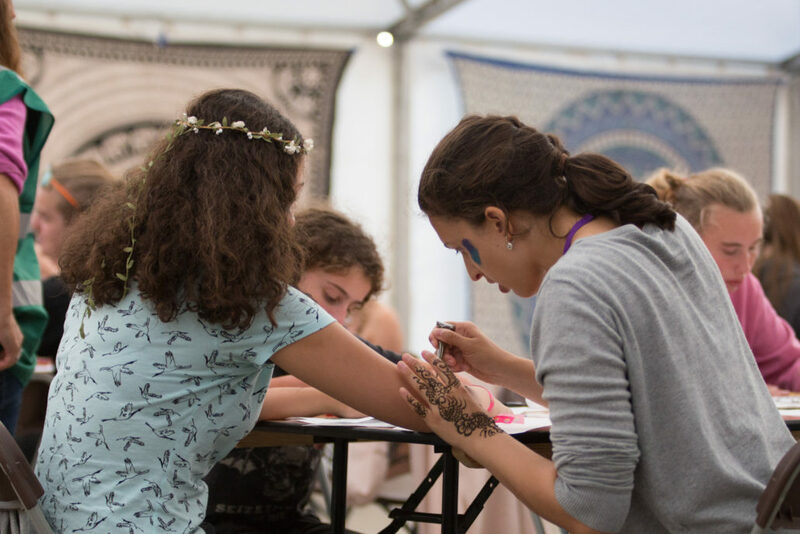 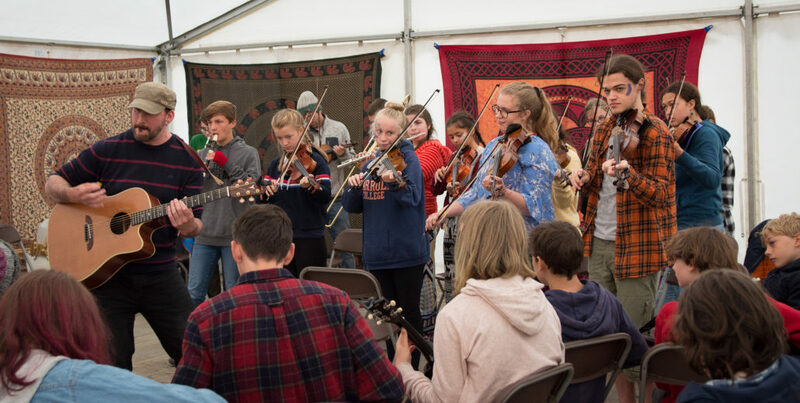 All the legendary trad music and dance workshops will be back, bigger and better than ever before, as well as some completely different fresh new youth-only events to keep you on your toes over an action-packed weekend. 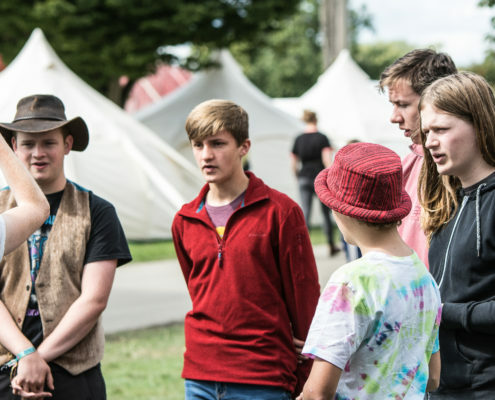 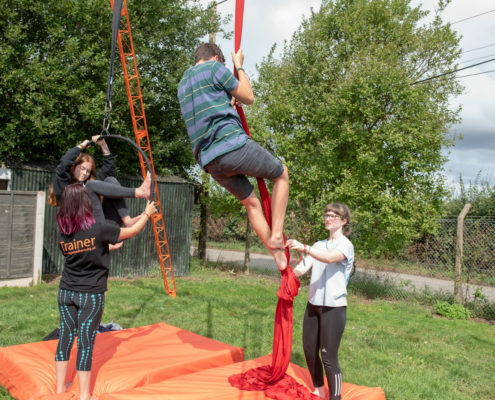 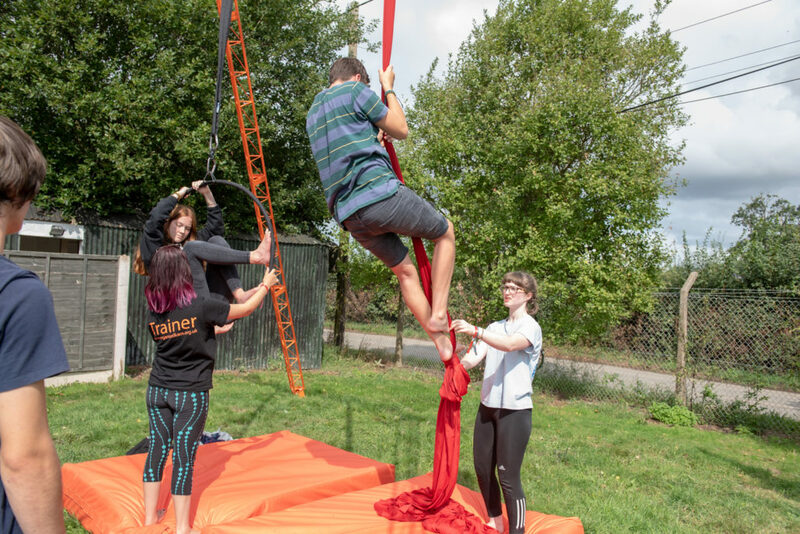 With more chances to strut your stuff on the stage, learn some completely awesome new skills and just chill out with new friends, if you’re aged 11-20, the Reef will definitely be the place to be. 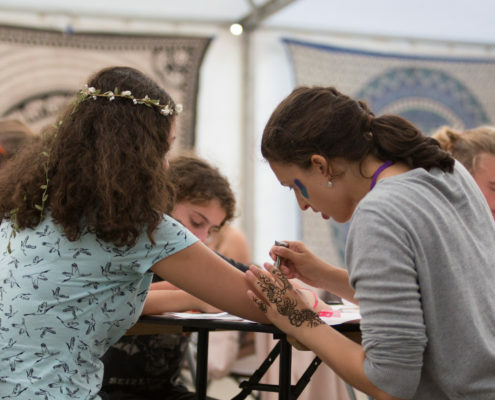 So don’t miss it!